Disease diagnosis, toxin detection and more are possible with DNA-graphene nanostructure. A nanomedicine research group led by a University of Toronto chemist has received a $5-million grant from the Natural Sciences and Engineering Research Council of Canada (NSERC), giving them the green light to develop faster ways of detecting leukemia and lung cancer cells. Discovery of way to balance effects of 2 drugs sets stage for safer pain relief. Scientists at the U.S. Department of Energy's Lawrence Berkeley National Laboratory have been able to confirm the production of the superheavy element 114. The University of Twente will contribute to the Enhanced Oil Recovery Exploratory Research Program (ExploRe) from the energy company BP. A two-day nanotechnology symposium will be held Thursday and Friday, Sept. 24 and 25, in the Whitaker Hall auditorium to highlight the opening of Washington University's nano research center. 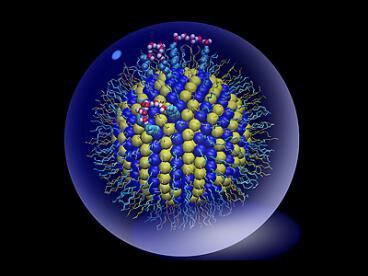 A comprehensive nationwide infrastructure for hydrogen refueling will be in place in Germany by 2015. This is the declaration of the landmark agreement signed on September 10. Held in Edmonton, AB, Canada, and co-sponsored by TAPPI and the Alberta Ingenuity Fund, the conference revealed developments for revolutionizing paper and wood products, as well as capturing sustainability-focused markets with bionanocomposites and capitalizing on wood-derived nanocrystalline cellulose and nanofibrillar cellulose. New findings show that tiny textures on a surface can produce big differences in how some materials, and even living cells, behave. Researchers have developed technology to perform more than a thousand chemical reactions at once on a stamp-size, PC-controlled microchip, which could accelerate the identification of potential drug candidates for treating diseases such as cancer. Researchers at Purdue University have created magnetically responsive gold nanostars that may offer a new approach to biomedical imaging. Two teams of researchers have developed versatile nanotechnology-enabled platforms that could get therapeutic genes safely and efficiently into cancer cells. Biomedical researchers at the University of Arkansas in Fayetteville and the University of Arkansas for Medical Sciences (UAMS) in Little Rock have developed a special contrast-imaging agent made of gold-coated carbon nanotubes that is capable of molecular mapping of lymphatic endothelial cells and detecting cancer metastasis in sentinel lymph nodes. Scientists from Argonne National Laboratory and the University of Chicago Medical Center's Brain Tumor Center have developed a way to target brain cancer cells using inorganic titanium dioxide nanoparticles bonded to antibodies. Small pieces of nucleic acid known as short interfering RNAs, or siRNAs, can turn off the production of specific proteins, a property that makes them one of the more promising new classes of anticancer drugs in development. The researchers showed that they could detect the quantum correlations in the results of measurements of entangled quantum bits, using a superconducting electrical circuit.